Most people want to be successful, although they may be reluctant to face the cameras, be in the news and have to interact with peers and strangers on a continuous basis. Unless you are raised in such an environment, the concept of entrepreneurialism could be so frightening that you may even deny yourself success because of it – so is there a solution? Most of those that suffer from a form of social anxiety want to be friendly and get on with people, and want to be able to converse with them and engage in social interactions. However, they cannot be so friendly because of the fear that holds them back. If you want to be successful with an online business, then you will either have to overcome your anxiety or look upon your business as being the ideal form of business for you – you would have no need for personal contact with other people, and you can remain anonymous online. That latter attitude is a very negative one, and could lead to further problems in your business and personal life. 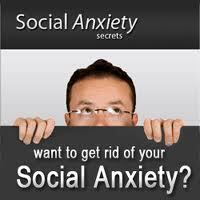 Here are some actions you can take to overcome your social anxiety. 1. Why Do You Fear Success? Online success can come very rapidly or it can take half a lifetime: but it can come. If you fear success because of the social anxiety it would cause you, then you are unlikely to achieve it because you will do all you can to avoid it. Why are you afraid – be honest with yourself, and ask yourself why you fear being successful with your affiliate or network marketing program, or even why you fear seeking promotion at work. If you can accept the reasons why, then you will feel better already. If it is failure that you are afraid of, and if you are afraid that others will criticize or even mock you if you fail, then you are liable not to try. It is safer not to make an attempt than to fail and be mocked. Just think: those laughing at you have likely never tried to achieve something for themselves – or they have had it a lot easier than you! You can learn a great deal from failure. Dust yourself down, brush yourself up and start again until you succeed – who will be laughing then? Competing against others is pointless. You don’t have to be better than them at what they do. Be good at what you do, and judge yourself against yourself. Try to become a little better each day, and you will find that rather than being anxious, you will become more confident as you meet your own targets. Entrepreneurialism is about your own goals, and not what others are doing. Those that limit their own abilities in their mind will rarely exceed these abilities. Not only are your abilities unlimited, but so also are your skills. You can learn the skills needed to succeed, and if you are running an online business, you can learn all you need to know from others who have been in your situation. People with no skills whatsoever have made a new life for themselves by taking online networking or MLM opportunities and adapted them to suit their own needs. They have found great affiliate programs to run with or have even been able to amaze themselves with their ability for advertising or marketing that they never knew they had. Their social anxiety was blown away by a new-found confidence born from the freedom of the internet. With the internet you have the freedom to search worldwide for opportunities that meet your specific talents or abilities without have to become socially involved with any individuals or groups of people. You will find it amazing how success enables you to more easily interact with others. Much social anxiety is born from a fear of failure: a failure to be successful, a failure to communicate with others, or even a failure to interact with strangers. Once you have made your first sale online, you will be amazed at the self-confidence this instills in you, and how easy you will find it to talk to others that are trying to do what you have done. Yes, social anxiety may be causing you to fear success, but when you achieve that success – as you will – you will find yourself helping others with a condition that for you has become something in your past. Brian Verigin, PartnerWithBV.com. 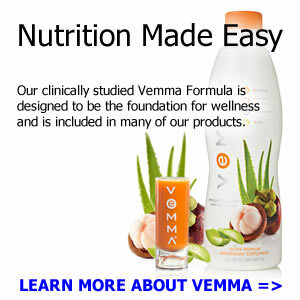 I am looking for motivated people who want to earn a 6 figure income.